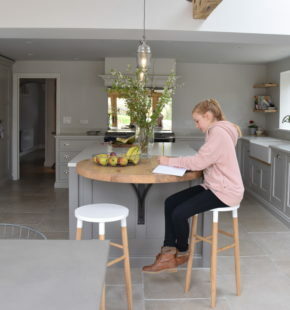 The addition of a new extension and a Guild Anderson kitchen for this cottage in the Wylye Valley has completely changed how this young family live, where they were once crushed into a tiny cottage kitchen with a hot Aga they now have a lovely light and spacious family room that as well as being a kitchen serves as a place to entertain, for the girls to do their art in and of course to cook and eat in. 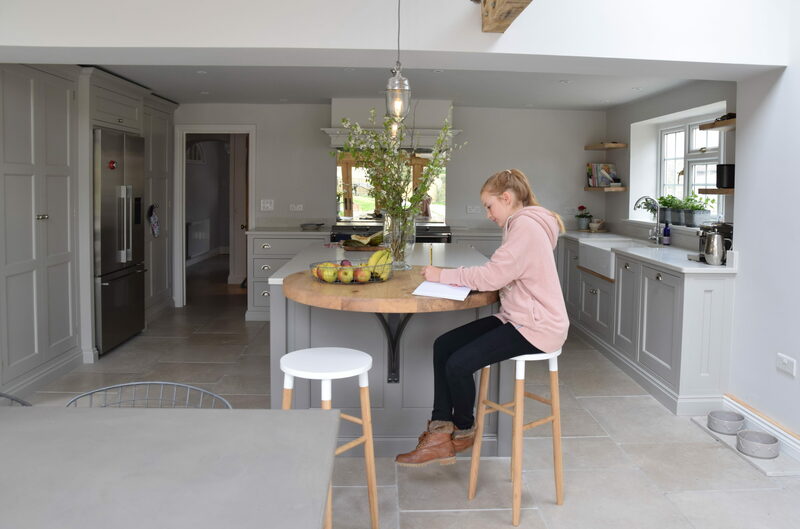 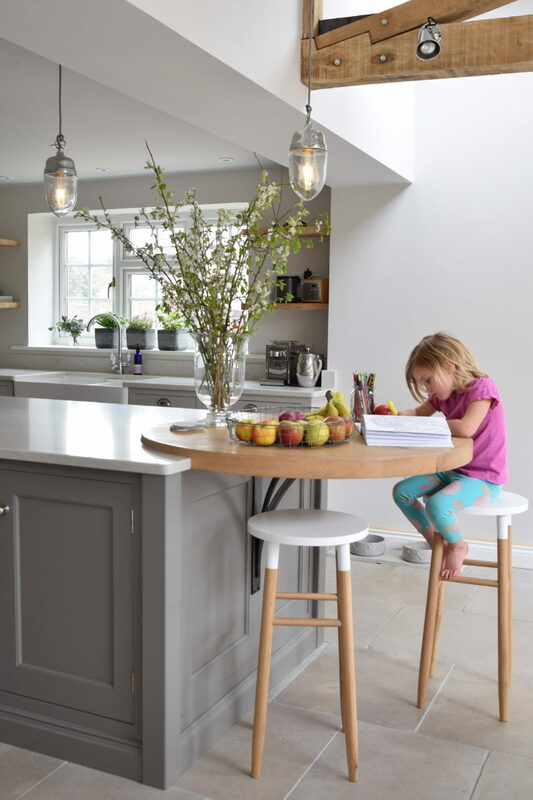 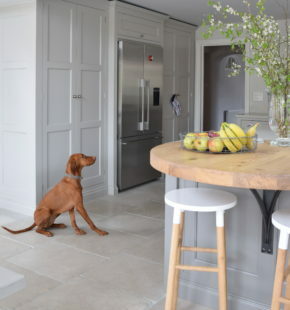 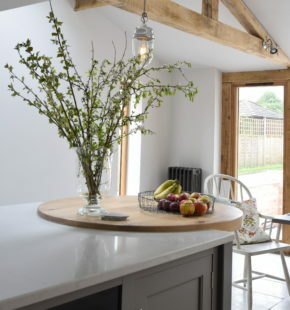 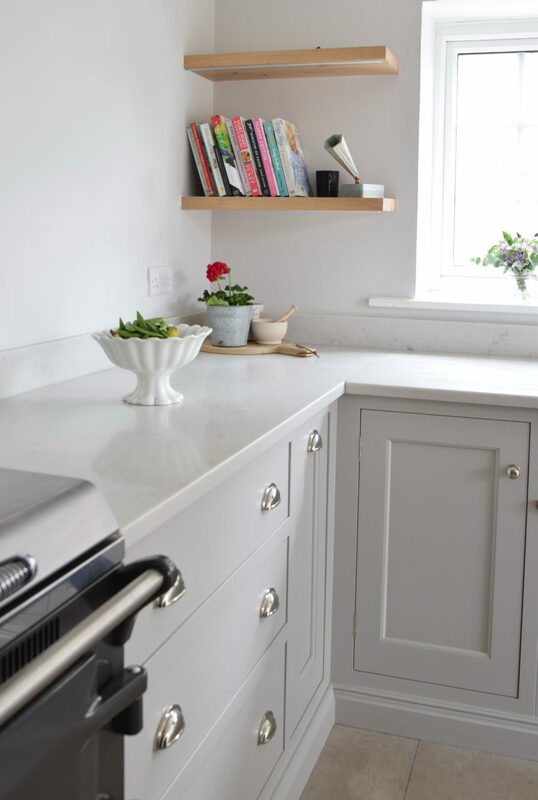 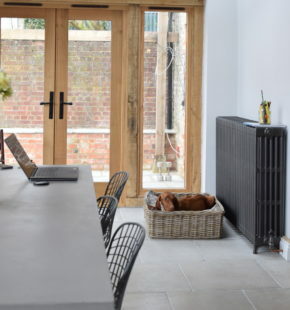 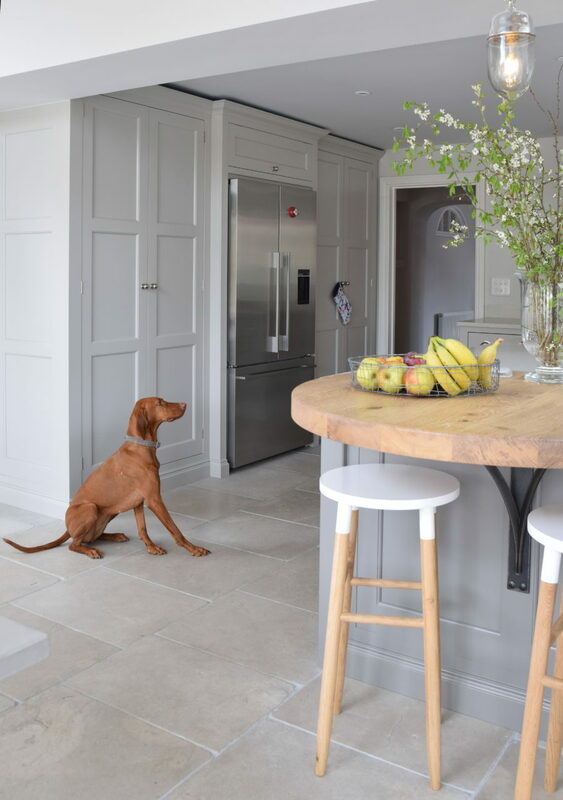 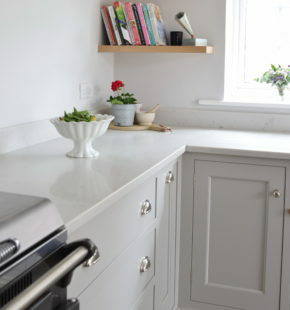 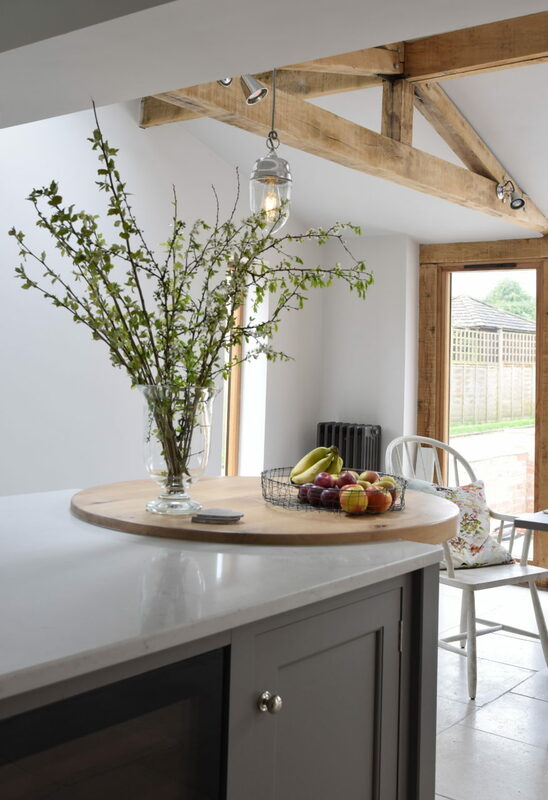 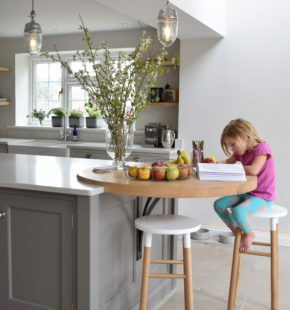 The gentle Farrow & Ball colours with Mole’s Breath on the island, Purbeck Stone on the cabinetry and Amonite on the walls all work to compliment the Teltos Carrera Onyx worktops and the circular oak top. 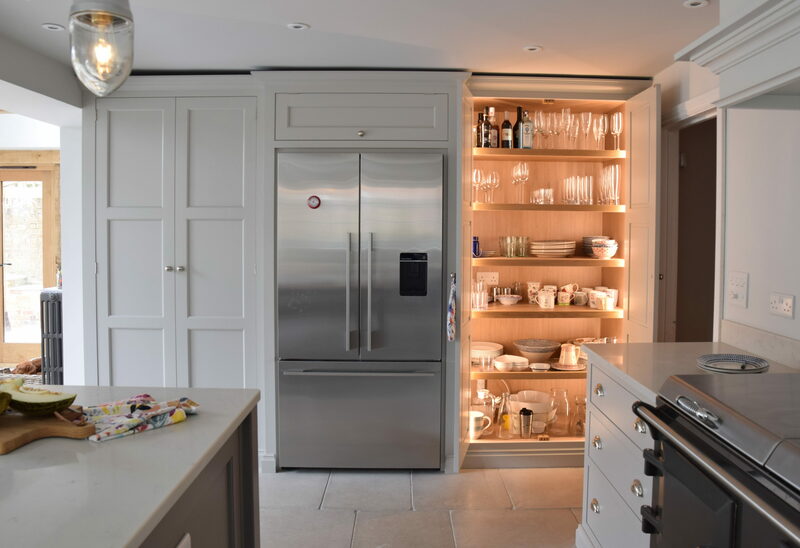 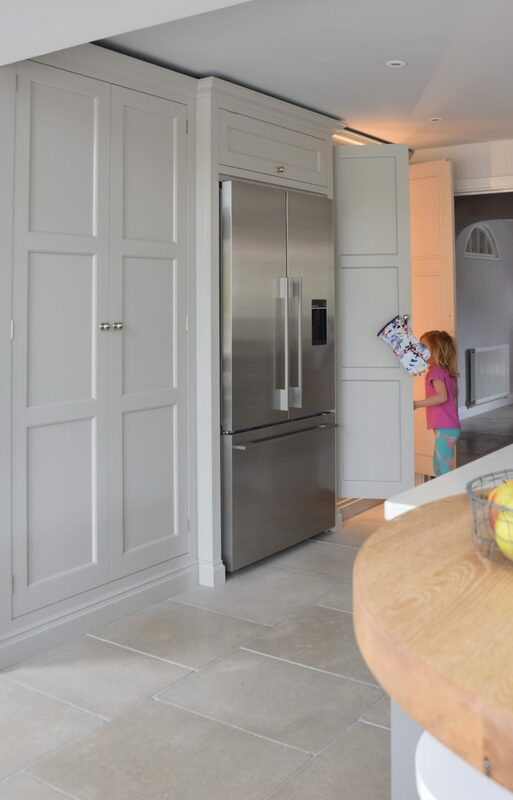 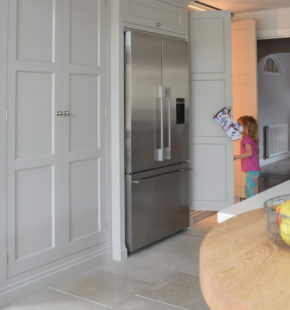 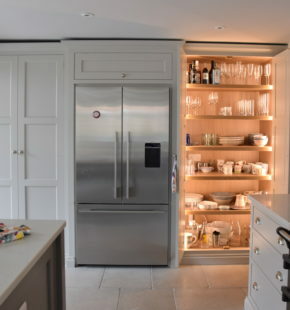 Storage comes in the form of tall run of cabinets with adjustable shelving and great internal lighting and a Fisher & Paykel fridge sits between them. 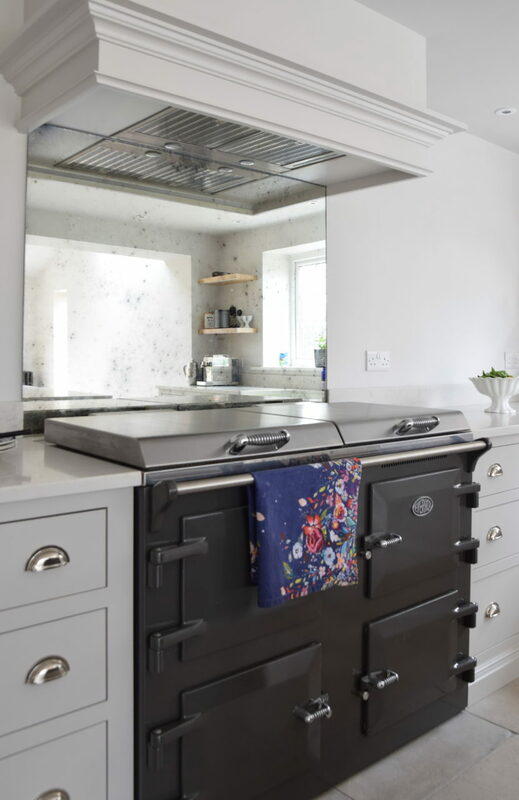 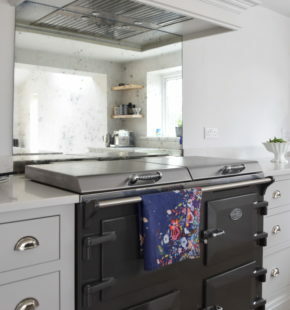 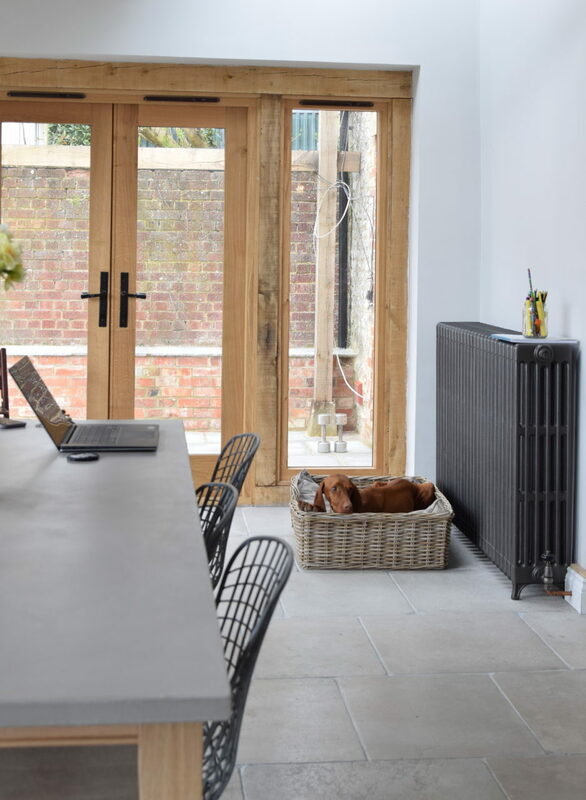 The Everhot 120i in Graphite runs at a much cooler temperature than the old oil fired Aga and is far easier to control.